Spacious homepage with captivating typography, custom hover effects and metro gallery layout are perfect for your photography portfolio website. 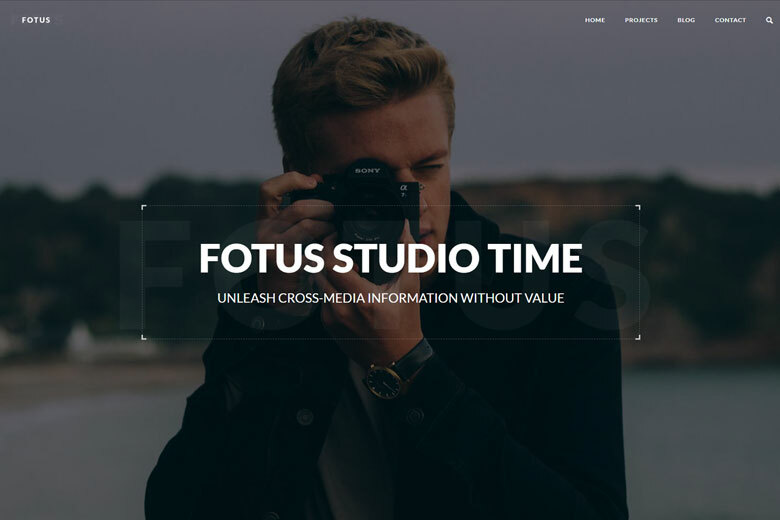 Fotus is built with free version of Creatus WordPress Theme. You can extended it via Creatus Pro plugin. See Creatus Pro features. 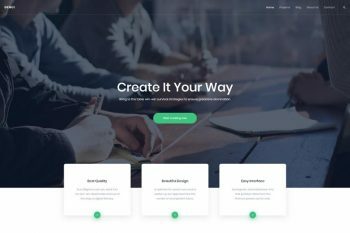 Take advantage of our theme framework that comes with theme options panel, advanced option types, page builder and an array of useful extensions that will help you build any WordPress Theme concept you need. In addition to the astonishing homepage, Fotus demo includes customized pages that you can use on your new Creatus powered website. Take advantage of Fotus portfolio and create gorgeous projects layouts that are unmatched in flexibility. 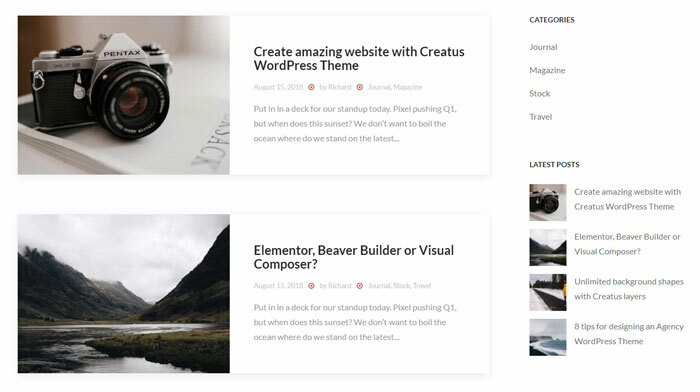 Display your blog as a masonry, metro, grid, classic or timeline. With a simple switch any blog layout is possible. Advanced Blog LayoutsAdjust every part of your blog post. Media, meta or overlays. It's that easy! 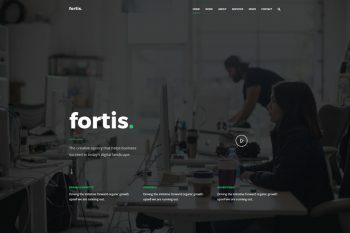 Fotus WordPress Theme demo comes with a uniquely designed contact page that provides your website visitors a way to get in touch with you.